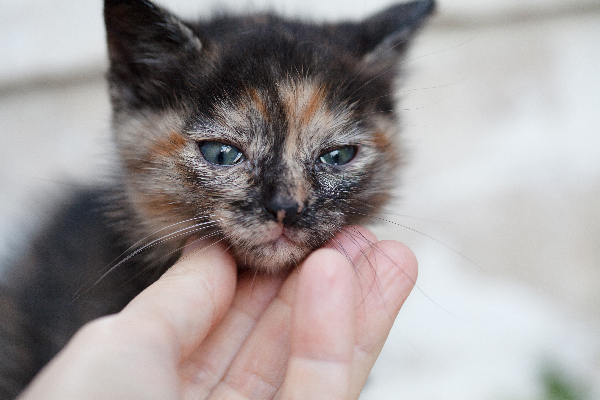 Is your cat’s runny nose normal or a sign that she’s sick and needs to see a vet? Let’s find out. Is Your Cat’s Runny Nose a Cause for Concern? 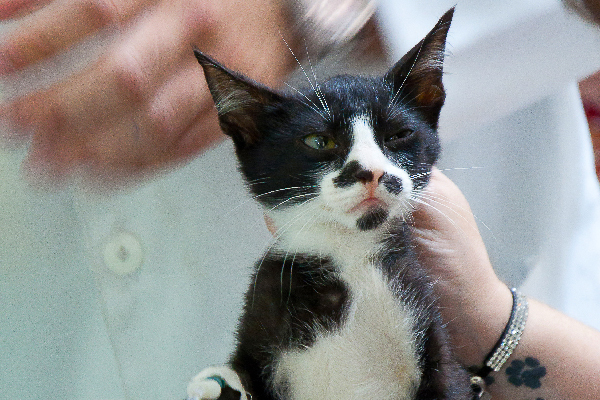 Does your cat’s runny nose necessitate a trip to the vet? Photography ©EricoMabellini | iStock / Getty Images Plus. What’s Causing Your Cat’s Runny Nose? If you see clear nasal discharge coming from your cat’s nose, this usually indicates that the cat might have a viral infection or allergies. “Colored (usually yellow or green) nasal discharge is due to the presence of white blood cells and dead tissue as occurs with secondary bacterial infections and chronic rhinitis (inflammation of the nose),” Dr. Simpson explains. 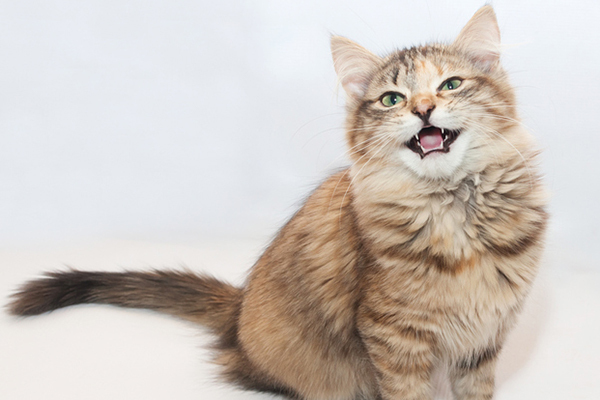 Less commonly, a cat’s runny nose might be caused by things other than viral infections. Nasal tumors, a foreign object stuck in the nose or tooth root abscesses can cause nasal discharge in cats. If the discharge is coming from only one side of the nose, or if one side of the face looks swollen, the vet might suspect one of these causes. How Are Runny Noses in Cats Diagnosed? How Will Your Cat’s Runny Nose Get Treated? If your vet suspects a viral infection, initial treatment of a cat’s runny nose typically includes an antiviral medication and/or antibiotic. Ongoing cases might require some anti-inflammatory steroids. If the vet treats your cat for a suspected viral infection, but your cat doesn’t respond to the medications, the vet might recommend anesthetizing your cat so she can do an oropharyngeal exam to check for polyps, as well as x-rays, a CT scan or rhinoscopy to check for other masses or tooth root abscesses. Thumbnail: Photography ©Angelafoto | iStock / Getty Images Plus. Can I try a Neti Pot to try and help my cats chronic nasal infection? My kitty has chronic URI. Have taken her to 4 vets with no cure. Have many tests run and procedures. Just when I think we might be doing well the sneezing begins and the nasal discharge. She is so loving. I hate to see her so uncomfortable. Any suggestions. My vets bills are way over $2,500. What if my cat has a runny nose but it‘s not colored? We suggest asking your vet this question. Hope your kitty feels better! Awww this is a great post. My FIV positive kitty used to get a cold in the summer from allergies. Thus would have helped.